about my B5147 morph from day into evening-wear project!!! scooped out the neckline by 3 inches to give a more evening look. I came at this measurement by trying on my silk twill version and measuring down from the existing neckline to where I wanted the evening dress neckline to be. sculpted out the side of the shoulder strap/armscye area to give a more evening look. Adjusted the width of the back shoulder strap to match the front. widened the top portion of both fisheye darts to pull in the bodice under the girls, thereby giving a more flattering silhouette to the waist of bodice. I am really proud of this change working out well because I just kind of eyeballed it. No math involved! increased the bust dart again by 1/4 inch on the top to reduce draglines at the side. added 3/4 inch wedge below the bust dart to restore length to the side seam and maintain integrity of the hip curve after altering the bust dart. pinched out a 1/4 inch of the outer shoulder seam for the front only, tapering to the inner shoulder seam to reduce gaping of the armscye. take a titch out from the front at the armscye side seam, maybe a 1/4 inch tapering to nothing at the dart to reduce armscye gaping. 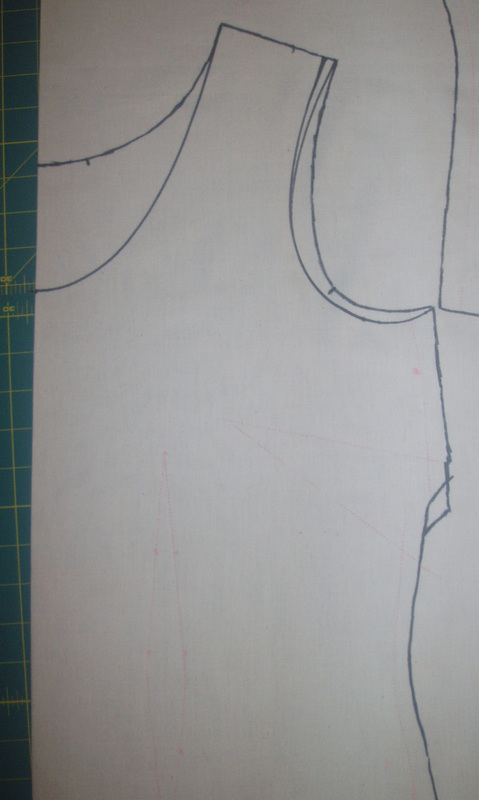 pinch out the same amount from inner shoulder seam to reduce neckline gaping. 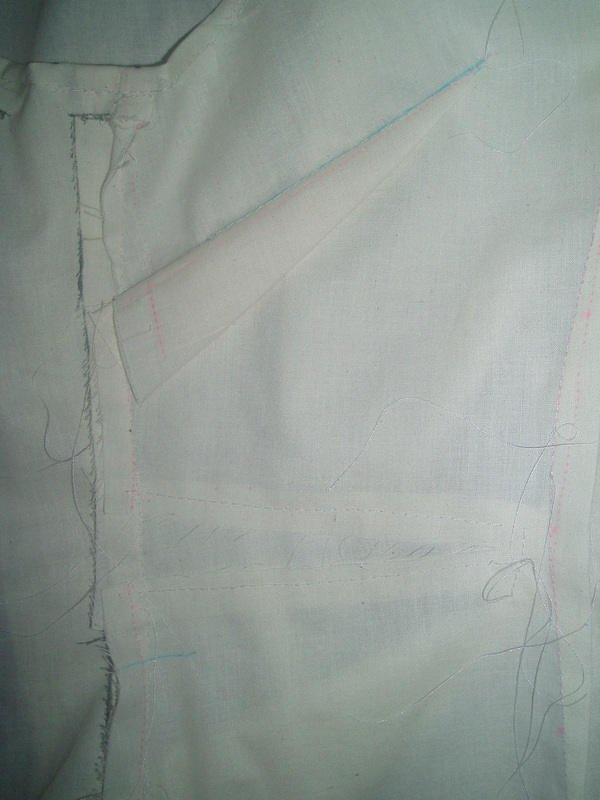 straighten up side seam after adding the wedge under the bust dart. I should have taken a picture of the muslin on me, because I was really happy with the fit, but I didn’t insert the zipper. 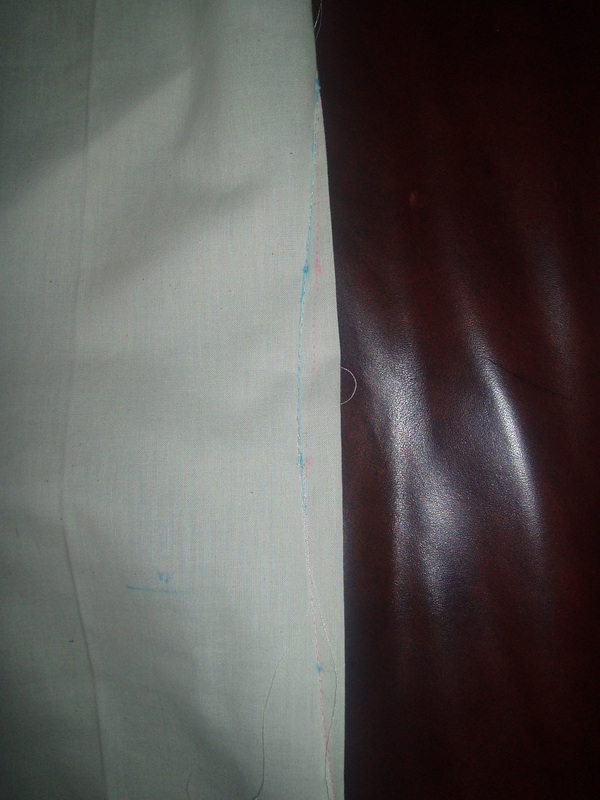 I just had Thea pin up the back at the seam allowance to mimic the zipper. Then I forgot to take a picture after we were done with our fitting. Sorry! Suffice it to say, that I am very happy with the fit of this dress now. And I love that I have an evening version of this sheath dress. Unfortunately, I won’t have time to sew until next week as Jack and I have a very full weekend planned. 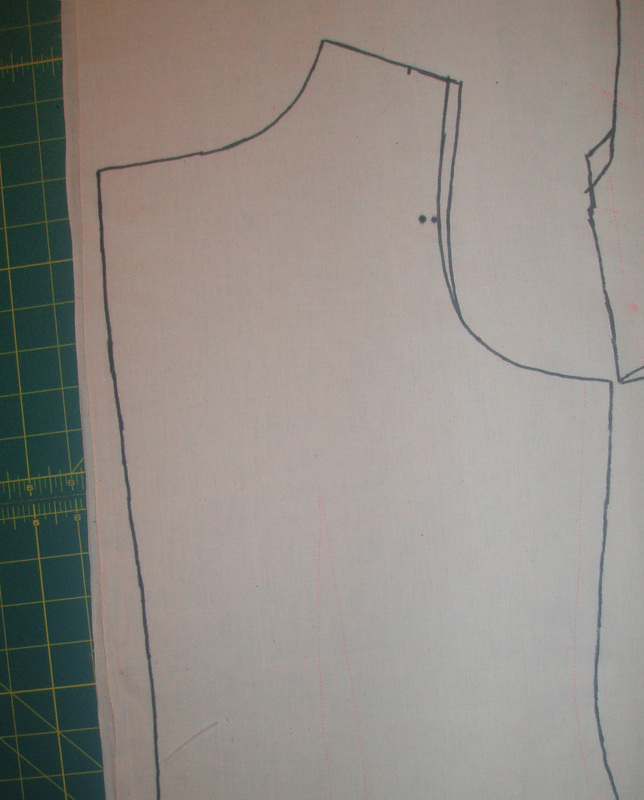 But at least I have figured out all the major stuff and can just cut and start sewing next week. I am going to underline the brocade with silk organza as it is quite a loose weave and bags out if you just look or breathe on it. That will add some time to the process, but it will be well worth it in the end. This entry was posted in Beginner, Butterick, Dresses, Fitting, Sew Alongs, Sewing, TNT's. Bookmark the permalink. Sounds like it will be perfect! Can’t wait to see the results. Can’t wait to see it! You are going to have hundreds of these dresses! I can see the book and movie rights coming now! One woman, one pattern, one hundred and one looks! That’s great Elizabeth! Can’t wait to see the finished dress. I’m excited for you and can’t wait to see the dress! You’ve really embraced this TNT dress thing, it’s fantastic that it works for you. Sounds like everything is coming together – looking forward to seeing the finished product.